Everyone knows how important it is to choose the right tool for the job but with welding, the process you select is just as important as the tools themselves. Different metals, site conditions and project expectations require different methods. 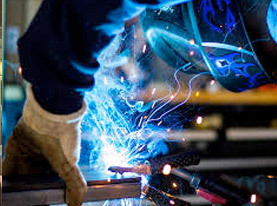 The three most common welding processes utilized today are Stick, MIG and TIG welding. Each technique has its unique set of benefits and limitations and there is no ‘one size fits all’ welding process. 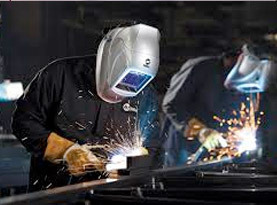 Some circumstances demand the clean, intricate work of TIG welding while in other situations, the scope of the job is very large and a simpler method like MIG or Stick welding is better suited. Bowtie Tony’s Welding is proud to offer all three of these welding methods to best suit the projects we are working on. Below is a quick summary to help explain why we recommend a certain process to achieve the best results for our valued clients! Stick welding is the simplest, most cost efficient and oldest of the three common welding processes which also makes it the most popular. 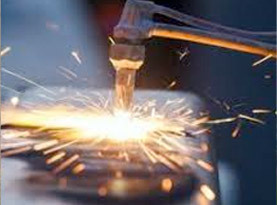 During stick welding, a consumable flux-coated rod called an electrode is used to lay the weld. Both the electrode and the metals being welded melt which forms a weld pool. This molten pool then cools to form a sturdy joint between the two metals. Stick welding can be used to weld metals such as aluminum, iron, nickel, steel and copper alloys. It can be performed outdoors in windy conditions, and has the unique ability to create an effective bond on unclean and even rusty surfaces. It can be argued this process is best for the environment as no shielding gas is used that emits vapors such as during MIG and TIG welding. MIG welders use a specialized tool called a spool gun to feed a spooled wire electrode at a constant speed pre-selected by the welder. The gun also emits a shielding gas as it lays the weld which protects the weld area from atmospheric gases such as oxygen and nitrogen. These gases would cause major problems if they came into contact with the electrode, arc or welding metal. MIG welding creates a high strength weld with a very neat finished appearance and minimal cleaning or sanding. This welding process can be used on any metal surface and even very thin metals. TIG welding allows the cleanest, most efficient and neatest welds of all the common processes. TIG welding utilizes a non-consumable tungsten electrode and requires additional filler be applied as tungsten is heated to an extremely high temperature before melting. The welder feeds the filler into the weld area with one hand as operates the torch with the other hand. There is also a foot operated control pedal used to dictate the heat input during the weld. Because of the welder’s increased control over the weld, the welds are stronger and higher quality compared to other methods. As mentioned above, if you aren’t sure which method is best suited to your project, don’t fear! 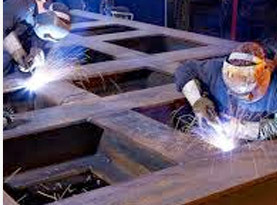 Bowtie Tony’s Welding is extensively trained and experienced in all the common methods. Contact us to schedule a consultation to discuss your next project today!